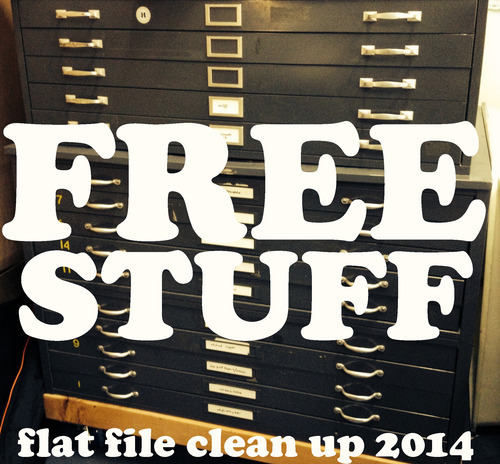 Last item on my list of spring cleaning is sorting through my flat file. 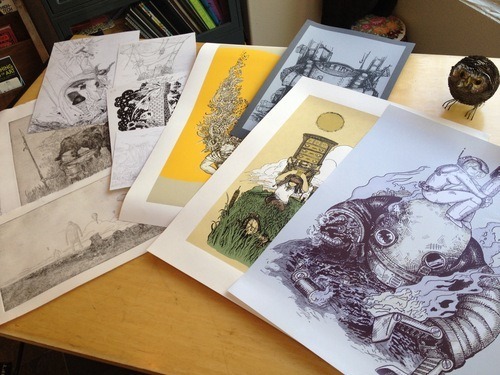 In the process I found some gems to give away on the Antiquated Press Facebook page. like comment or whatever to be entered. I will be drawing winners next week or so. 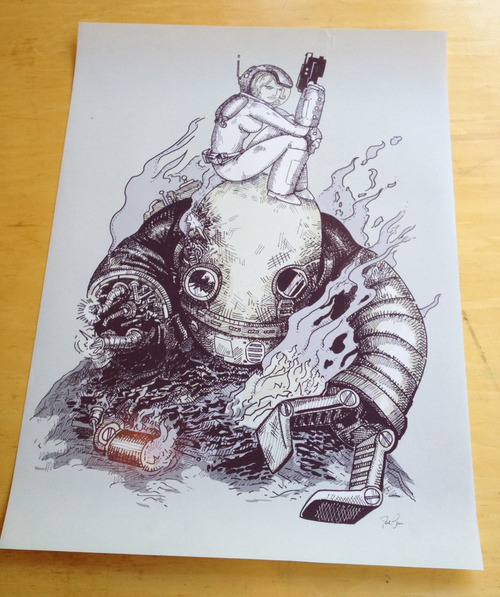 here is a test print from 08 for “harder they fall” from full metal tee. 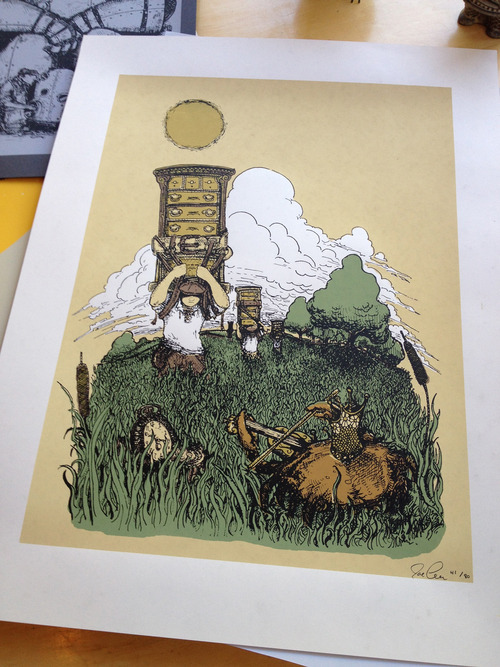 it is signed and a pretty swell print. 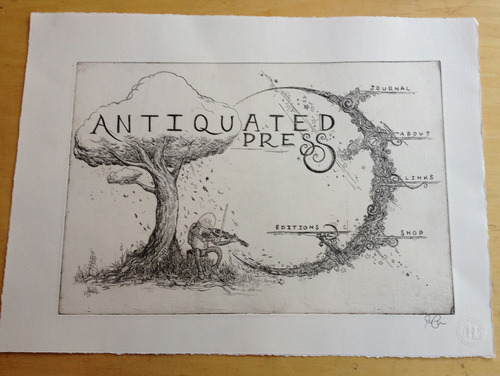 here is one of AP’s first prints, “Migrating Bureaus” from 2009. A screenprint and one of very few out there. made for the ap homepage. only a few of these made for complete clockworks edition sets. yeah, the website started in copper. 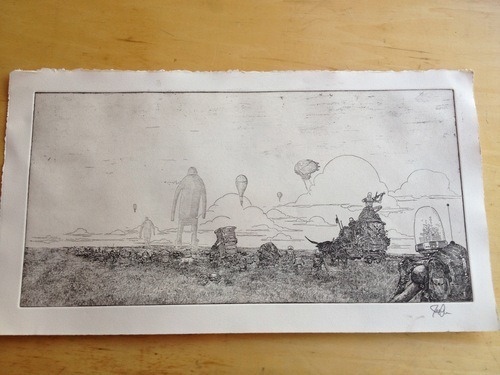 this is a test print from society 6 - 2010 i think. Ordered several of these to see the quality. 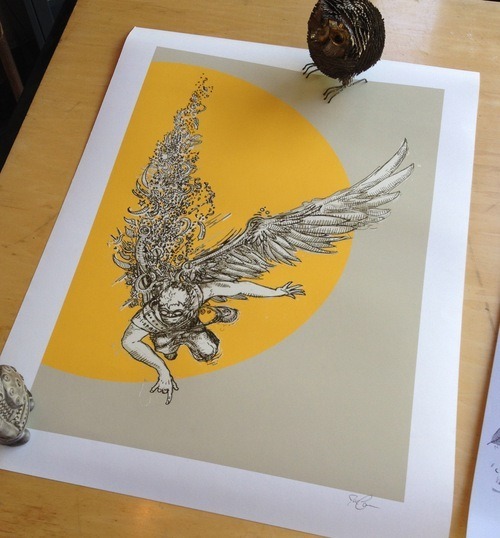 “Icarus” i went ahead and signed it as well. 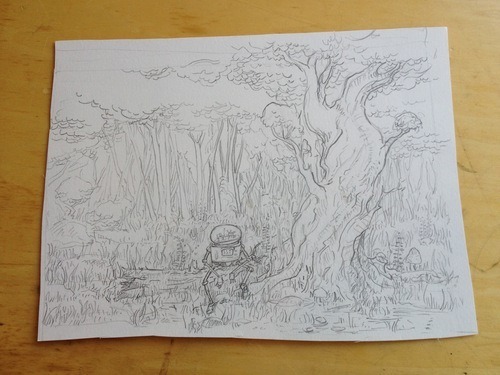 It is so rare that I give away (never sell) original ink work. 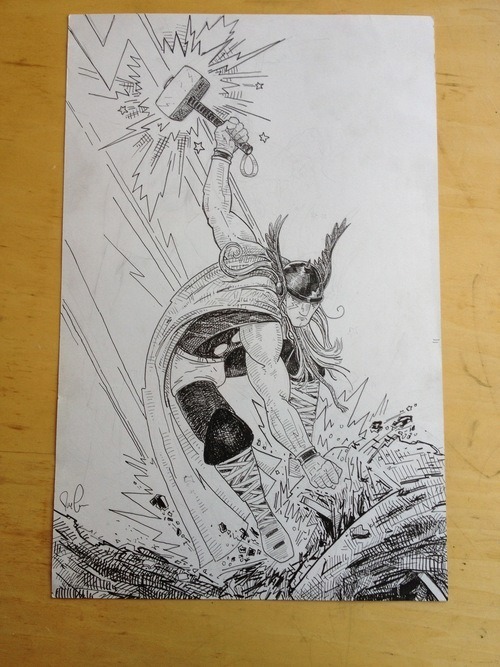 This is an original pencil and ink drawing of thor i did for a potential licensed by marvel tshirt which never came to be. 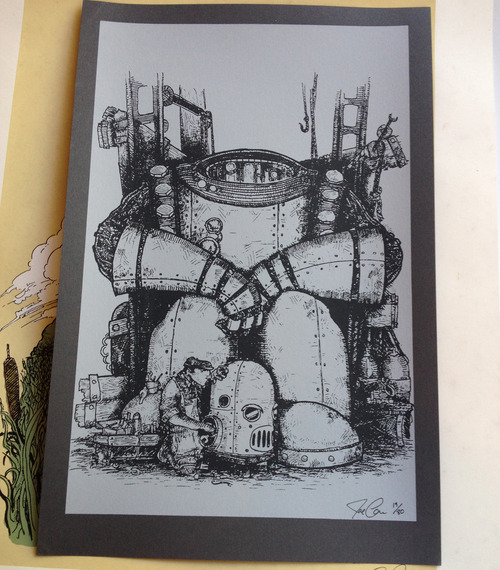 this is one of only a couple proofs of the one lost plate in the clockworks series. it is a sad story. 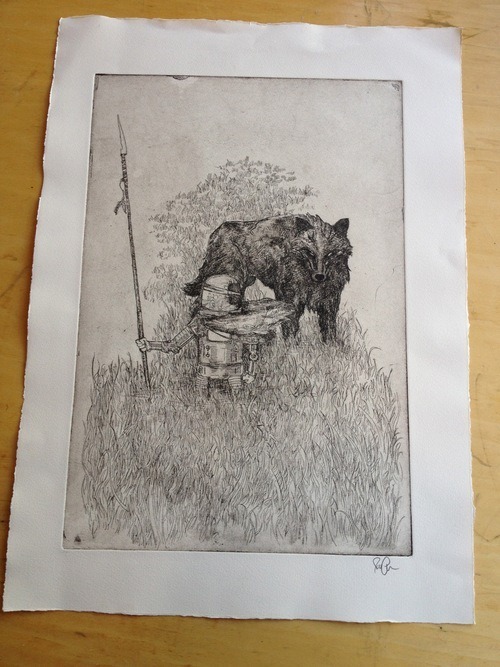 the wolf II edition is not just plain “wolf” because of this print. it did not make the cut into CW 13 and only a few were sent out to pals. 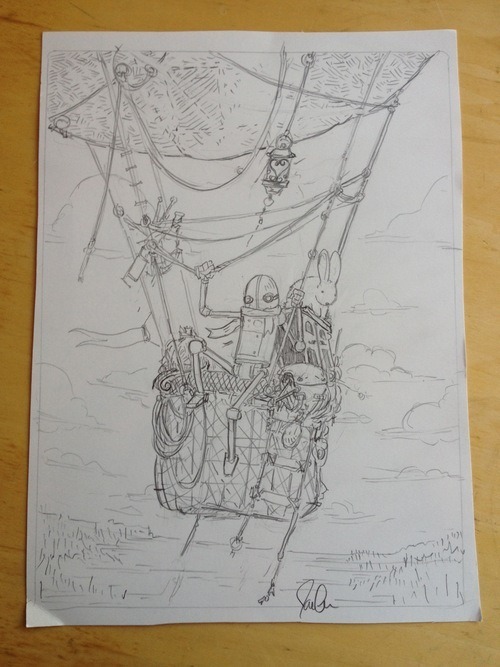 original concept sketch for “balloon” edition in CW 13.